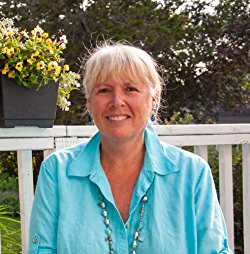 This is the fourth book in the Lighthouse Library mystery series and the second of the series I have read. I have read the first book in the series and really enjoyed it so I knew I would enjoy this one, and I did. 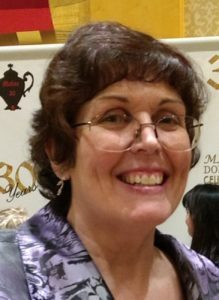 It had similarities to the first book, but was is it's own unique story. 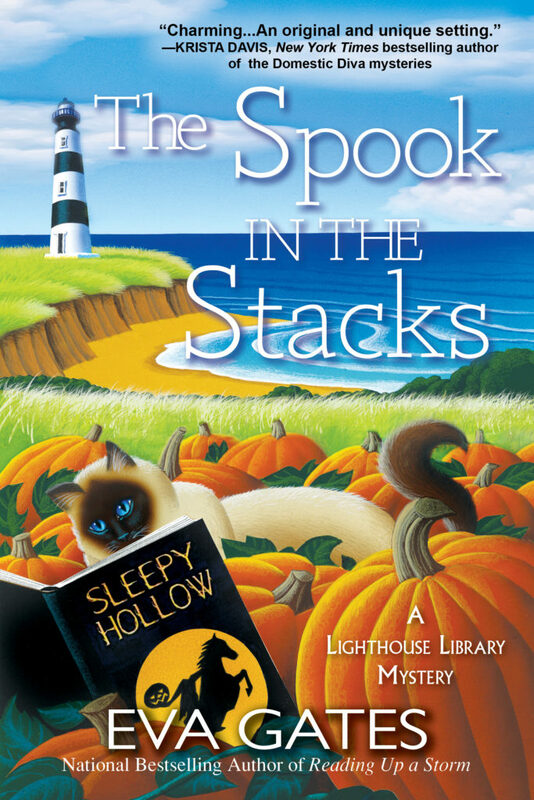 Halloween has come to the Bodie Island Lighthouse Library and Lucy and the staff are getting ready with spooky book club selections and also with spooky talks. Wealthy businessman, Jay Ruddle, is preparing to find a new home for some of his historical North Carolina History papers and the Bodie Island Lighthouse Library is a possible choice. During a talk by Louise Jane, Mr. Ruddle is found dead in the rare books room. Lucy and the staff have to, once again, put on their sleuth hats to solve the mystery. I thought this book was well written and flowed really well. 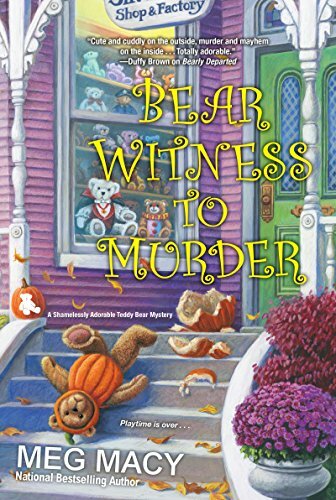 I loved how the author incorporated Halloween themes into the book. There were a lot of twists and turns that kept me guessing. I look forward to more in this series. Allow me to introduce myself. I am Charles, the resident cat at the Bodie Island Lighthouse Library and star of the Lighthouse Library mysteries by Eva Gates. I was named for Mr. Charles Dickens, a great man of letters, as I am a great cat of books. I don’t actually read books mind, but I find they are very comfortable to settle down on when left open on a table top. I currently live with Lucy in our apartment on the fourth floor of the Lighthouse, which Lucy calls her Lighthouse Aerie. Before Lucy arrived, I lived on the ground floor. I love the library at night, but it can be a bit lonely after everyone has gone home at the end of the day. 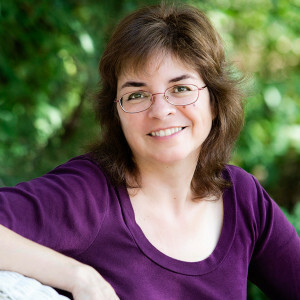 So, when Lucy got the job of assistant librarian at the Bodie Island Lighthouse Library, which came with an apartment on the fourth floor, I naturally decided that Lucy needed me to move into the apartment with her. So now I am a library cat by day and a house cat by night. I am kept hopping all day. My duties are to greet patrons when they arrive, join the children for children’s activities, allow lonely old women to fuss over me, keep mice out of the cupboards, and advise Lucy NOT to wear that hideous dress for her date with Connor. Or is it Butch this time? I get confused. Right now, we’re particularly busy at the library getting ready for Halloween. I don’t know why humans think it’s fun to be frightened. I certainly do not. But the decorations are up, the parties are planned. Nothing I love more than a party at the library. All those laps to curl up in and all that food, waiting to be snatched up. I just hope no one gets killed this time. I try to help Lucy when she has a mystery to solve. I can tell her who can be trusted and who cannot. But does she pay any mind to me? No. Humans, they think they know it all. But I… oh, wait, is that a mouse I see? Excuse me. This is my second visit to Jewel Bay and the Merc and this visit was even better than my first visit. This story captured my attention from the beginning and kept it throughout, maybe because it was about Christmas. This book was very well written with great dialogue and banter between the characters. 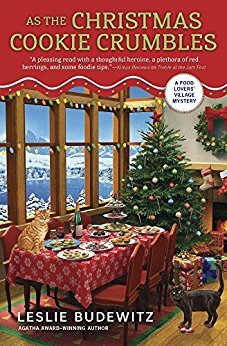 The setting was great, and because it is set during Christmas, even though it is June, that made the book even better. Erin is getting ready to marry the man of her dreams when bad girl turned good, Merrily comes to town. She has been shunned by her parents and is suspected of stealing from her boss, but she is found dead with a string of lights around her neck. Erin has to solve he murder to save the Christmas holiday and also because her wedding nuptials are coming up. I look forward to reading more in this series, and am definitely going to go back and read the others in the series. medicine, and their cat Ruff, a cover model, and avid bird-watcher. I really thought I was going to love this book, and I did like it, but not really as much as I thought I would. 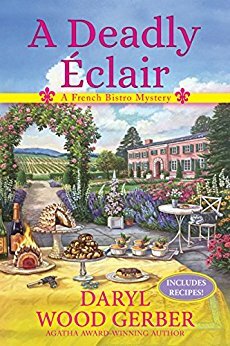 It is the first book in the French Bistro Mystery Series, and there were a lot of characters introduced at once and I got a little confused at first. The premise is a french bistro in the wine country of Napa Valley, and the benefactor to the owner has booked a wedding weekend for his niece at the Bistro. This is where we meet the many characters. Mimi is the owner of the Bistro and Bryan is her benefactor. Bryan ends up murdered with an eclair in his mouth, and of course, Mimi is the main suspect. I thought the writing was superb, which helped this book flow well. Once I got all the characters down pat, the book ended up being a very quick and entertaining read. Of course with all the characters there were many suspects and Mimi has a time clearing her name. I do look forward to reading the next in this series as it was a great setting with a great plot.